It’s been about one million years since the first volcano breached the surface to create what is now Isabela, the westernmost island of the Galapagos. One of the youngest islands in the archipelago, the island was formed by the merger of six volcanoes. Today, all but one remains active. Sierra Negra, the second largest active volcano crater in the world at 10 kilometers in diameter, shadows over the island, rising to a height of 1,124 meters. A study of geology in action, the Galapagos Islands is one of the world’s most active volcanic areas. Fortunately eruptions are rather infrequent, some 50 eruptions have been recorded in the past 200 years with the last occurring in 2008. With the shape of a seahorse, Isabela is the largest island in the Galapagos, being almost 100 kilometers in length and some 1,770 square miles of land area. 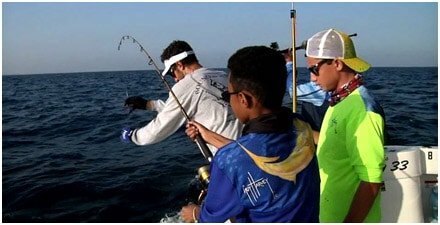 The third-largest settlement in the Galapagos, Puerto Villamil, is located at the south-eastern tip of the island where a mere 2,000 inhabitants make their home, and most are fishermen. The island’s northern area is home to the archipelago’s largest colony of giant tortoises, isolated from the southern portions of the island by the stark lunar-like lava landscape that severs the island in half. No trip to Isabela is complete without a visit to the Tortoise Breeding station. 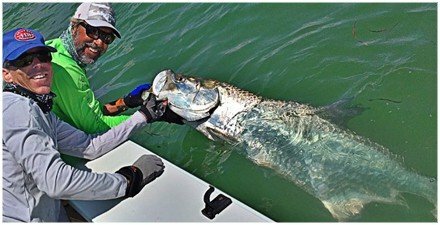 On the west coast of Isabela the nutrient rich Cromwell Current upwelling creating a feeding ground for fish, whales, dolphin and birds. 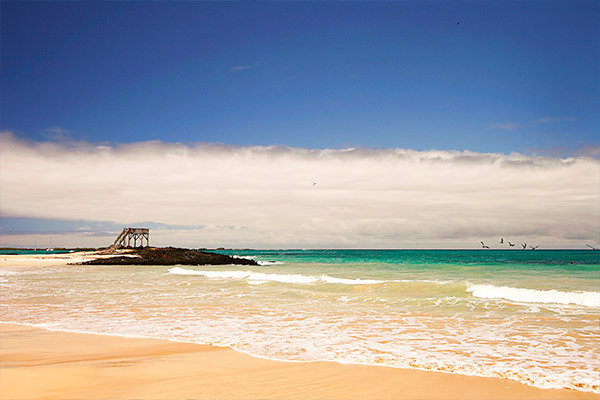 These waters have long been known as the best place to see whales in the Galapagos. Some 16 species of whales have been identified in the area including humpbacks, sperms, sei, minkes and orcas. The steep cliffs of Tagus Cove bare the names of many of the whaling ships and whalers, which hunted in these waters during the 19th century. Birders will be delighted with Isabela, particularly its penguins. Yes, they do exist on the equator! The Galapagos Penguin is the most northerly occurring of all penguin species, brought to the Galapagos by the Humboldt Current, which brings cold waters and nutrients north from Antarctica. 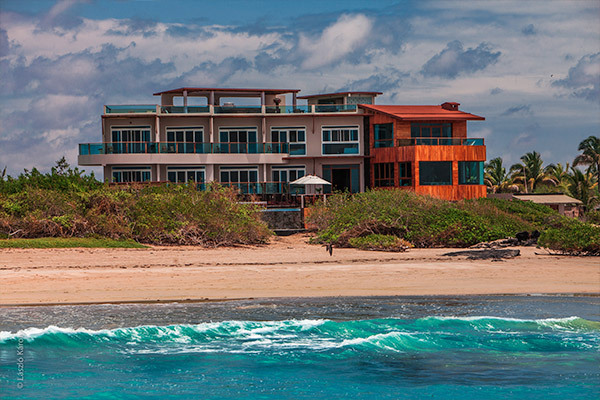 Not to be outdone by penguins, the island teams with mangrove finches, Galapagos Hawks, brown pelicans, pink flamingos and blue herons, all who make their home on Isabela. 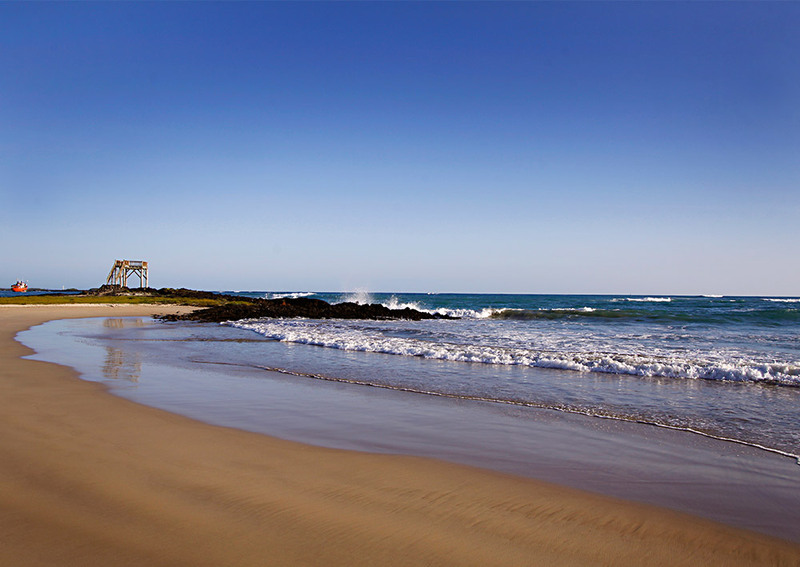 Whether its diving, snorkeling, fishing, hiking, birding or just spending a lazy day on the powder white sand beaches that stretch out in either direction from the sleepy beach town of Puerto Villamil, a visit to Isabela is truly enchanting. 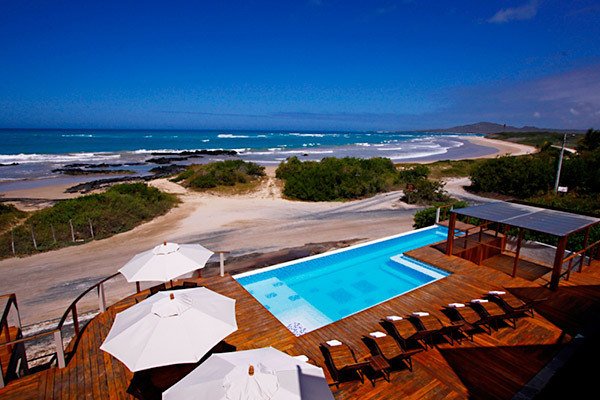 This is the quintessential Galapagos experience. Enjoy the Adventure! 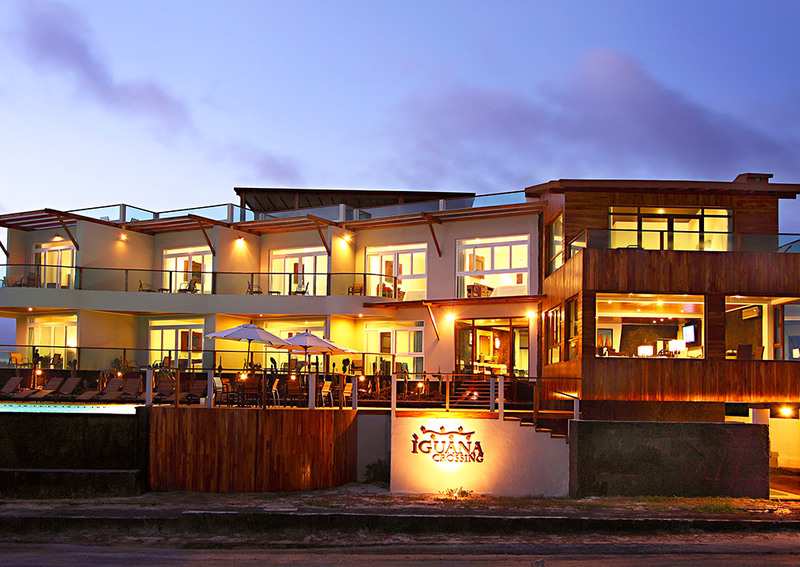 Iguana Crossing Hotel offers casual elegance at the edge of civilization. 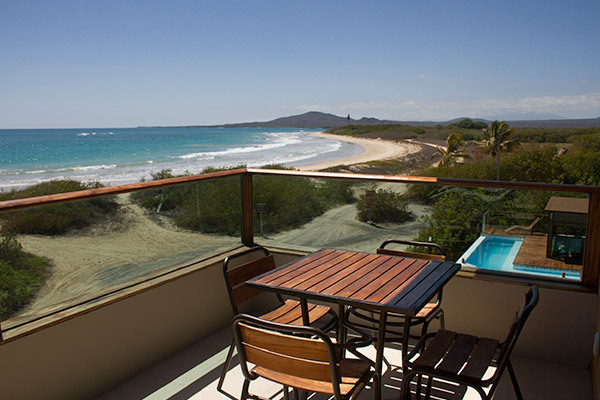 Imagine your own private hotel with 14 guest-rooms for you and your friends in Galapagos! 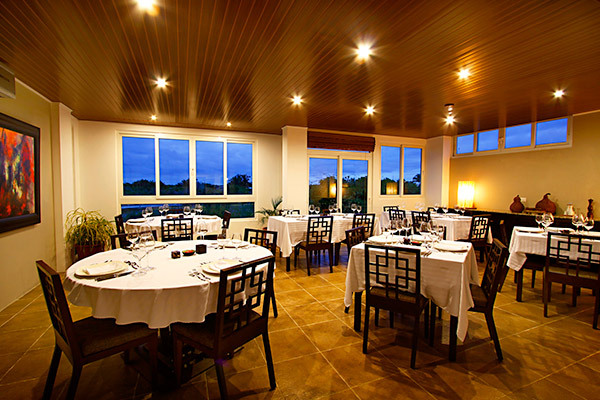 At Guy Harvey Outpost, we understand what makes a vacation special or a special event memorable. 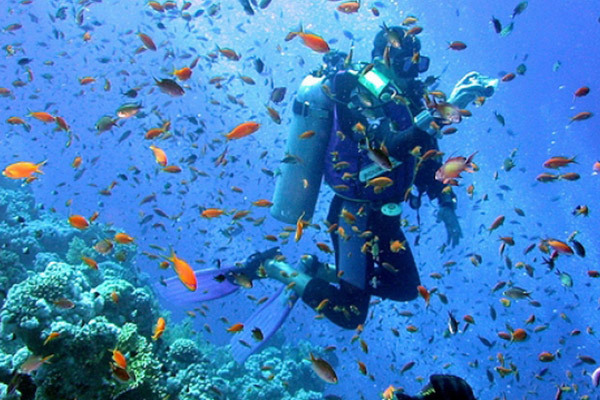 Dive with Penguins, Sea Lions and more! 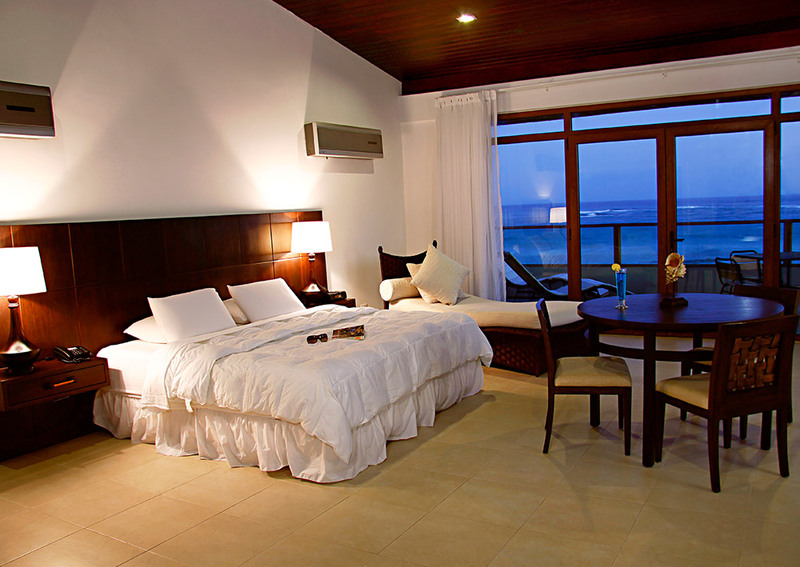 The Galapagos Islands, in their entirety, is a UNESCO world heritage site. Name your adventure! You’ve travelled thousands of miles, and likely crossed the equator for the first time. 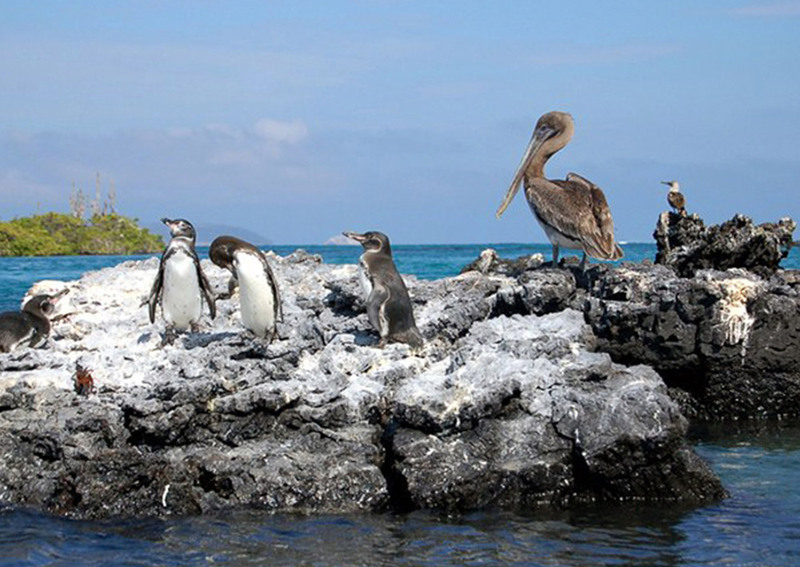 Prepare for your adventure in the Galapagos Islands and Ecuador.